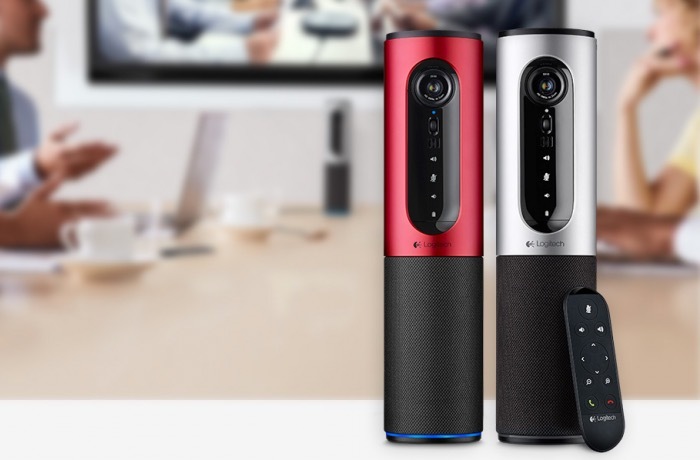 Logitech has this week added a new addition to their range of conference systems, in the form of the newly launched Logitech ConferenceCam Connect. The Logitech ConferenceCam Connect system takes the form of a portable 1080p teleconferencing camera with a ZEISS certified 90 degree lens and 360-degree voice communication. The portable ConferenceCam Connect has been designed to be used in locations such as conference rooms that are not equipped with teleconferencing equipment and is capable of providing a working range of up to 3.7 m.
For more information on the new ConferenceCam Connect jump over to the Logitech website for details and the ability to purchase the new system for $500.